If you love hummingbirds, growing a hummingbird garden is easy, fun, and beautiful. All you need is adequate shade, sun, a little bit of room…and flowers! Honeybees and hummingbirds love flowers, but there’s one important difference between these two amazing creatures. Honeybees are attracted to flowers through smell. 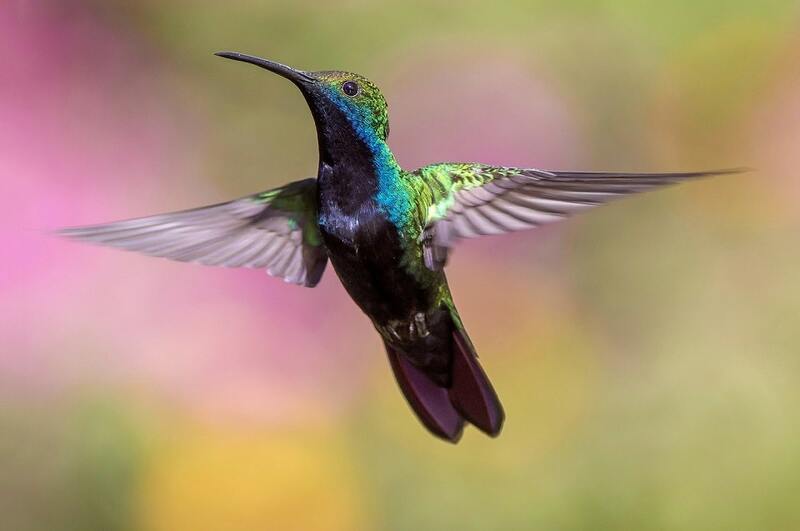 Hummingbirds, however, are sharp-eyed beauties and they hone right in on colorful flowers. Especially if those flowers are red, World of Hummingbirds reports. But they like other bright colors as well. Hummingbirds love to visit tubular or trumpet-shaped flowers, especially those of the trumpet vine. 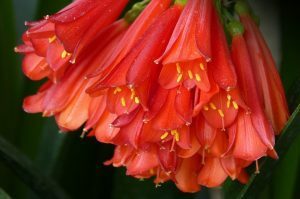 And flowers in hummingbird gardens usually become quite abundant — with their boundless energy, hummers zip from one flower to another, pollinating them naturally. 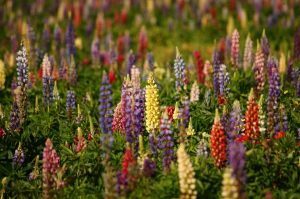 Below is a list of flowers that are almost required in any hummingbird garden. 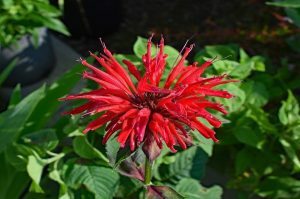 Bee Balm. These spherical clusters of spiky flowers come in shades of bright pink, red, orange, and purple. Cardinal Flowers. 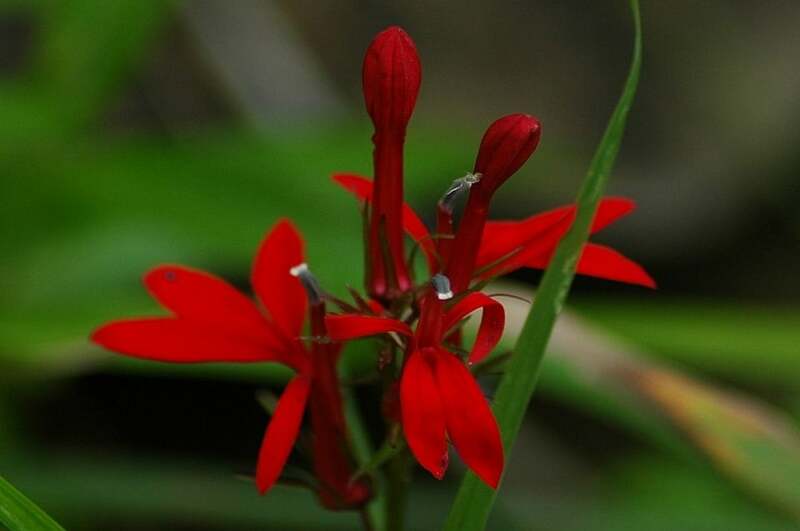 Also called lobelia, these red flowers produce showy stalks that can grow up to 48 inches. Hummingbirds can’t get enough of these! Zinnias. Coming in rainbow shades of pink, orange, reds, yellow, white or multicolored, they love full sun. 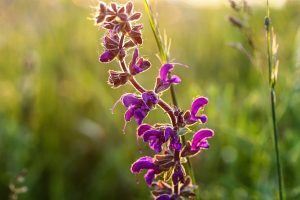 Salvia. These cute spikes of delicate flowers in shades of mauve, purple, and pink are especially attractive if planted in the back of flowerbeds or planters. 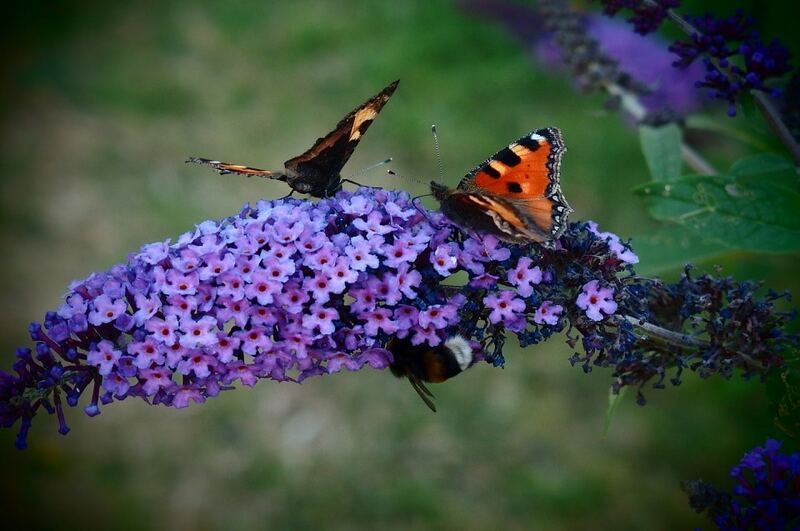 Butterfly Bush. 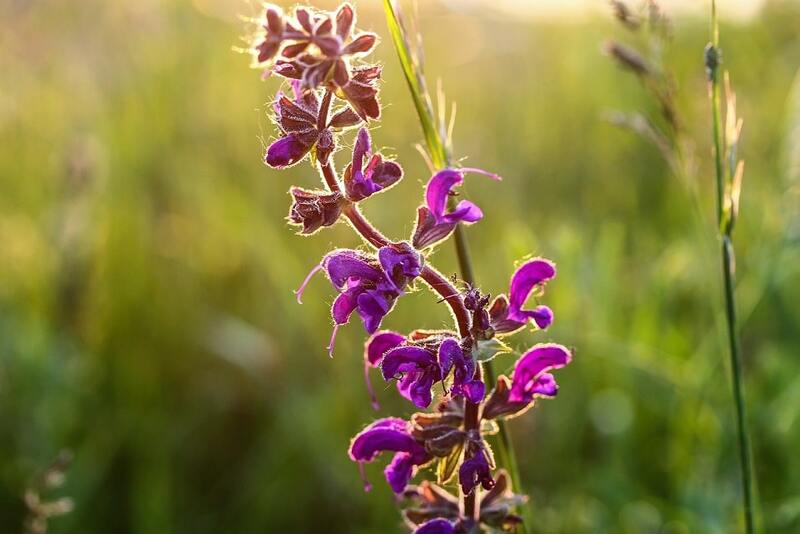 This drought-resistant plant, in shades of blue, pink and purple is favored by butterflies and hummingbirds. 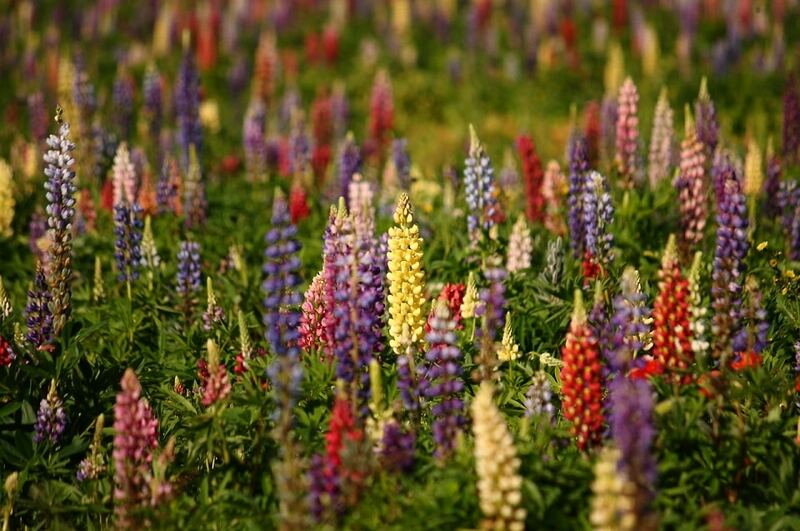 Lupine. These beauties are early blooming and draw hummers well before the garden has awakened. Maltese Cross. These tall (4 ft.) beauties grow in early summer love partial shade and moist soil. 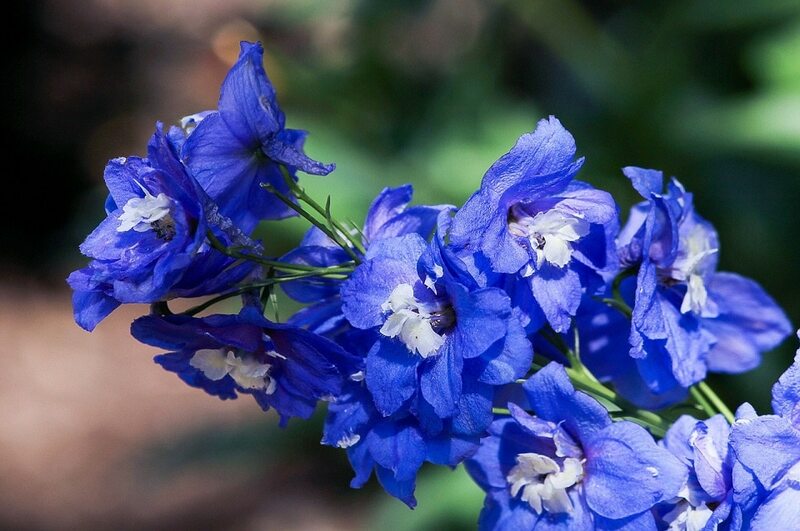 Delphinium. Blooming in early summer, delphiniums can also grow strikingly tall (up to 8 ft.) Preferring cool summers, they do best in moist soils. Gayfeather. 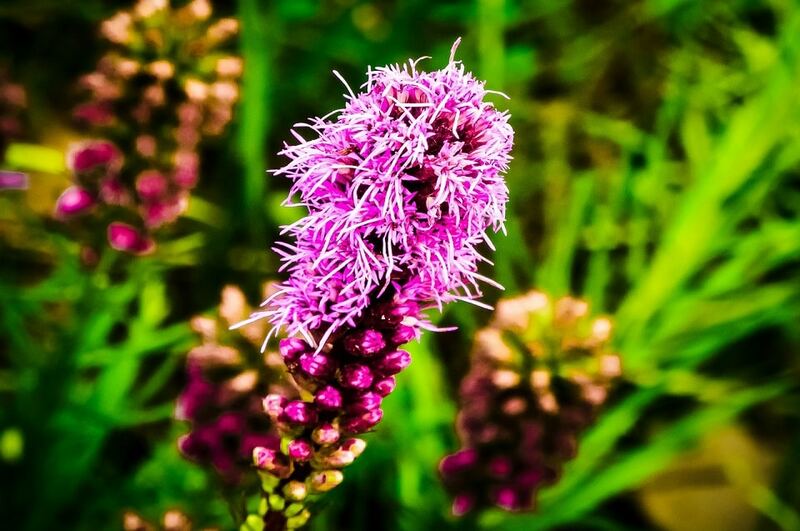 Preferring full sun, these frilly flowers grow in shades of purple, white, and lavender. Flowering tobacco. 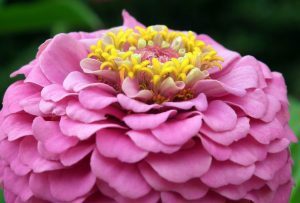 This is an excellent plant for containers, and its fragrance is delicious! Now Let’s Grow That Hummingbird Garden! So now that we have some ideas about flowers that attract hummingbirds let’s see what you need to do to get started. In any garden, location is important, but that’s especially true for one that attracts these bejeweled birds. Obviously, you’ll need to place it where you can see it. You’ll also need to consider what size the garden should be. 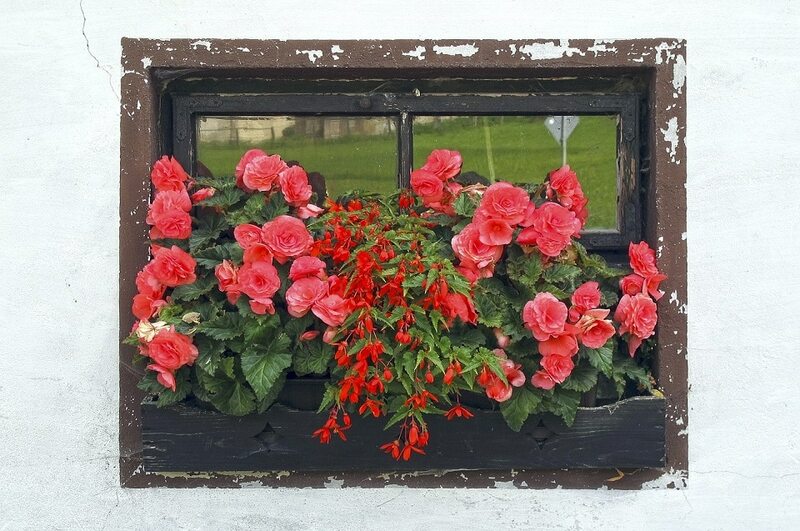 It can range from the size of a window box to several acres. And hummingbirds love to buzz around in the sun, but they also need shade where they can rest and build a nest for their young. 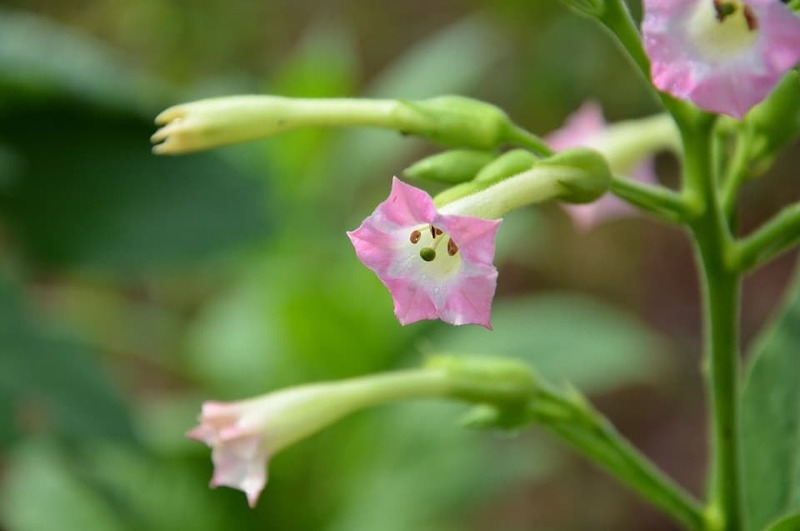 These tiny dynamos prefer wildflowers over their hybridized cousins. You can still use hybridized flowers, just remember that they’ll get less traffic. It’s also a good idea to choose flowers that bloom at different times of the year so that the little birds always have access to food. Hummingbirds prefer a variety of flowers in a wide range of colors. Just like us, they want a varied diet. After all, no one wants to eat the same food all the time. And finding hummingbird flowers can be as easy as checking out your local nursery. There’s a lot of things that you can add to your garden to make it all your own. 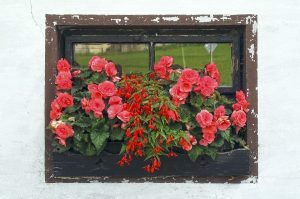 You can add trellises, window boxes, wooden tubs, and ceramic pots filled with flowers that attract hummingbirds. There’s also some trees that attract these energetic beauties or provide excellent nesting material — including bottlebrush, Eucalyptus, and willow. These trees have numerous branches, making it easier for female hummers to find places to make nests. 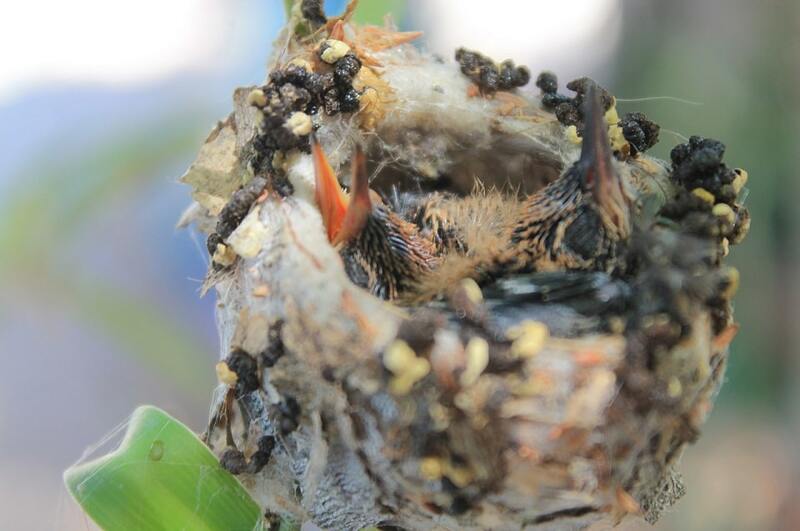 The gestation period for these little puffs of feathers lasts a mere 18-22 days, with just 1-3 eggs being laid. Youngsters are ready to fly in just 18 to 33 days, Defenders of Wildlife reports. 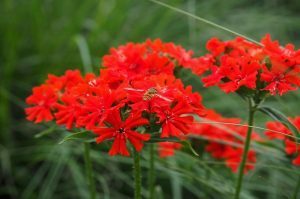 Another Important Ingredient for a Hummingbird Garden? Just Add Water. A birdbath or small bowl can provide them with the water they need. Just make sure to change the water every other day to keep mosquitoes from breeding in the water. You can also purchase a water mister and have fun watching the little birds as they buzz through the water. And while flowers do provide a fair amount of nutrition for hummingbirds, it’s a good idea to also provide them with a hummingbird feeder. Doing so helps them get through periods when your flowers aren’t blooming. Also, even though these birds are small, many species are aggressive. It’s not unusual for a bird to guard flowers to keep others away. 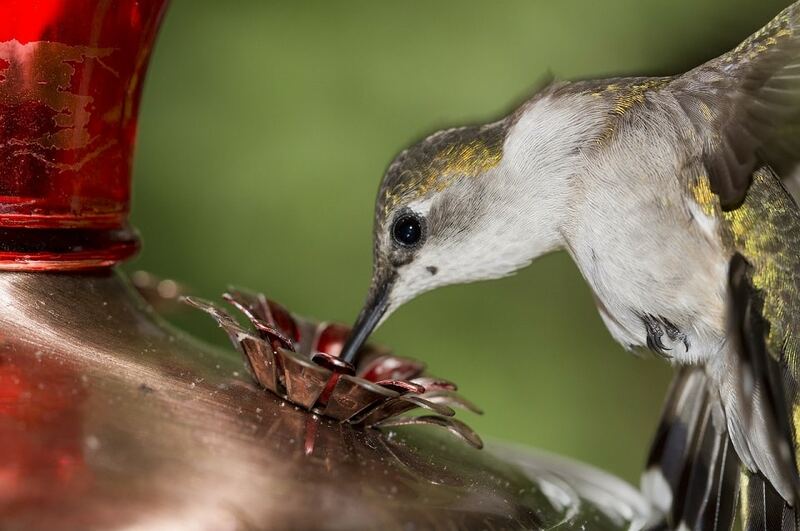 A hummingbird feeder provides little extra insurance to make sure everyone gets enough nectar to eat. With a hummingbird feeder, you can provide your tiny friends with a homemade meal. It’s really easy. Add one part water regular white sugar to four parts water. Now boil the water and add the sugar. Stir until the sugar is dissolved, and let the nectar cool. The remaining food can be refrigerated for up to one week. Doing things like this can help these charming birds, which have the highest metabolism of any creature on Earth. Those tiny wings can beat up to 200 times per second, and their metabolism is so high that they must eat more than they weigh. Every. Single. Day. 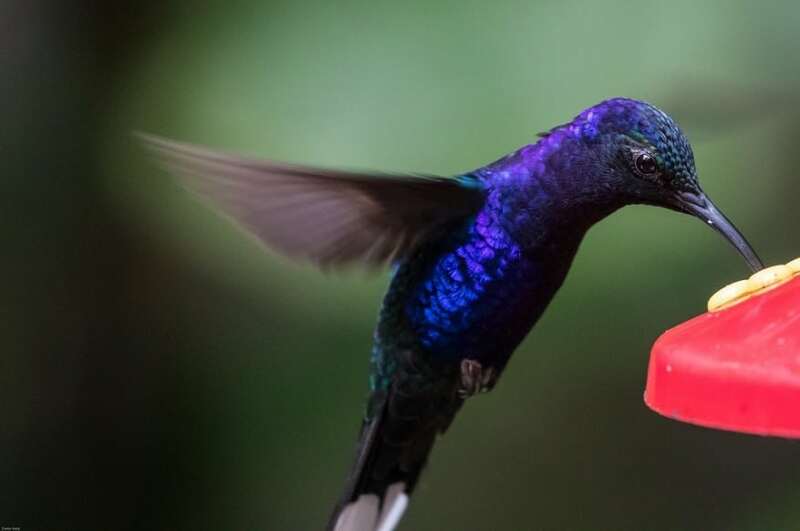 Because their metabolism is so demanding, hummingbirds also need extra protein, which means they eat tree sap, spiders, insects such as mosquitoes, aphids, gnats, midges, caterpillars, weevils, small beetles, whiteflies, and insect eggs. If your garden is regularly visited by hummingbirds, count yourself lucky. These tiny birds are only found in the Western Hemisphere, ranging from southeastern Alaska to southern Chile, Defenders of Wildlife reports. There are more than 300 species, most of which are found in the tropics. However, like seemingly every other species in the world, hummingbirds are also in trouble — as victims of habitat loss, because many species are uniquely adapted to the habitat they call home. Climate change is also wreaking havoc with the migration patterns of these delicate beauties, causing some species to show up where they’ve never been reported before and making it that much harder for them to find the food they need. As you can see, it’s easy to start a hummingbird garden. These cute, sparkling and inquisitive garden clowns make our outdoor environs seem almost magical. Provide them with sun, shade, water and lots of flowers, and they will call your garden home for years to come.